In the G-Coins section you can purchase G-Coin packs. 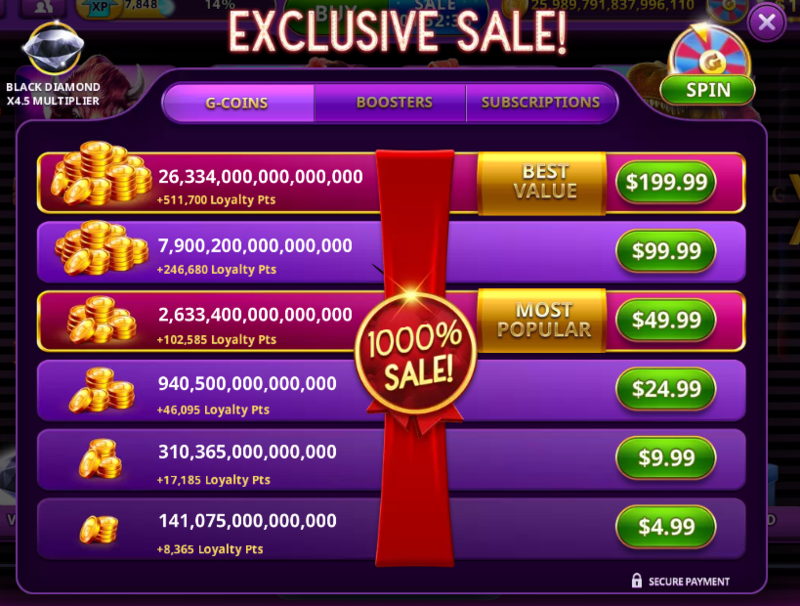 Each pack has its price, coin value and the amount of Loyalty Points granted for a purchase. 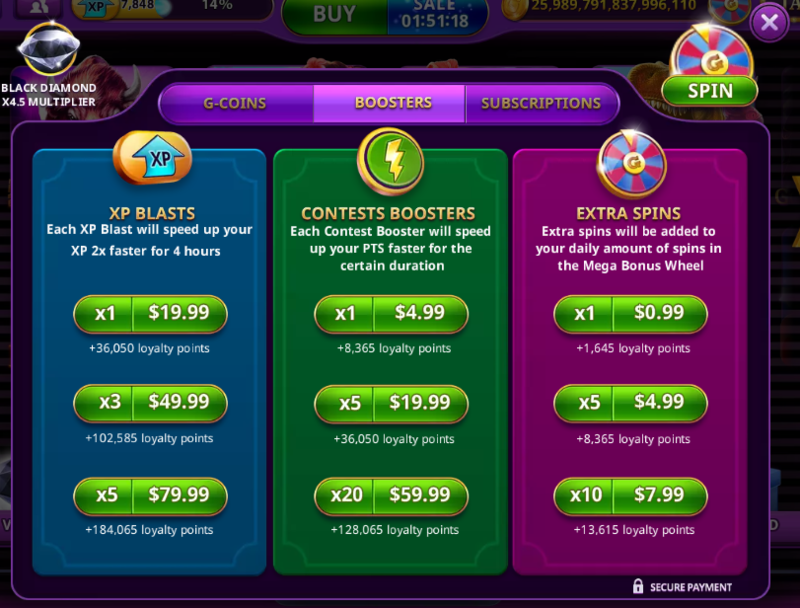 In the Boosters section you can purchase Contest Boosters, XP-Blasts and Mega Bonus Wheel Free Spins. Each purchase option also shows you the amount of Loyalty Points granted for it. 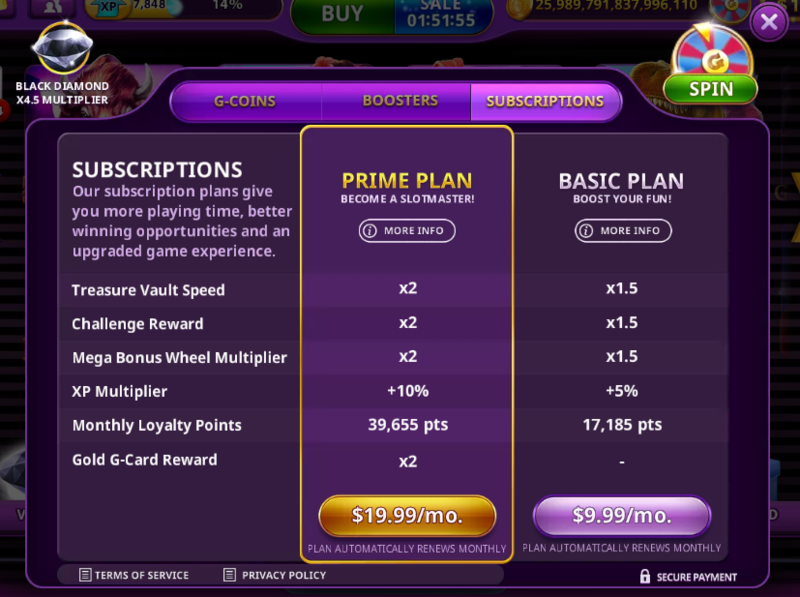 Subscription section lets you acquire one of two weekly renewable Subscription Plans: Basic and Prime. Each of them has its own set of benefits and amounts of Loyalty Points granted for their purchase shown and can be cancelled anytime.